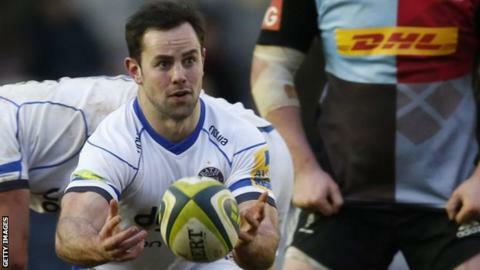 Bath scrum-half Micky Young will re-join Newcastle Falcons for 2015-16 on a two-year deal, three and a half years after leaving to join Leicester Tigers. The 26-year-old, who moved to The Rec from Tigers in 2013, has scored two tries in 20 Premiership games for Mike Ford's side. Young, who initially joined Falcons from West Hartlepool, has made a total of 87 top-flight appearances. "It is a massive opportunity for me," said Young. "From speaking to Dean and a few of the guys who are still at the club from when I was there, the ambition of the club is awesome and I'm excited to be part of a set up out to do big things." Falcons director of rugby Dean Richards said: "We're delighted to have signed Micky and look forward to welcoming him back in the summer. "He is very much an example of where we want to be with talented players from the area playing for the club and we are looking forward to seeing him develop in the side."